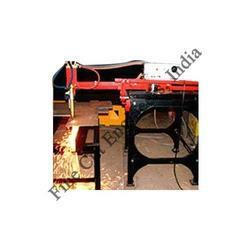 We manufacture and supply quality range of industrial, profile cutting machine, plasma cutting machines, industrial cutting machines, heavy duty cutting machines. These are made using quality MS and SS sheets and is used in various industries such as steel and fabrication industries to name a few. Available in various specifications, these are offered at industry leading prices. Apart from this, we also offer spare parts of cutting machine and provide retrofitting services to our clients. 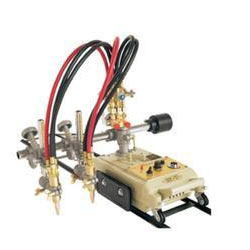 The Portable CNC cutting machine is a compact economical solution for oxy-fuel and plasma cutting. A low profile and small foot print allows the machine to be transported easily and stored efficiently. No need for metal templates any more. the machine or for srip cutting(Square or Rectangle) is possible. 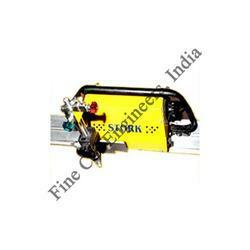 Prominent & Leading Manufacturer from Pune, we offer pug cutting machine, cub type cutting machine and stork (pug) cutting machine. 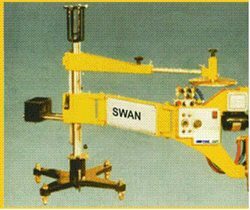 Our product range includes a wide range of profile cutting machines, template profile cutting machine - 'swan', portable profile cutting machine and cnc profile cutting machine. 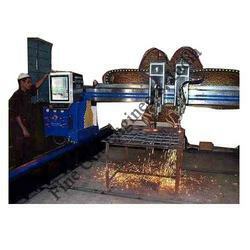 We are engaged in manufacturing and supplying quality and durable range of Plasma Cutting Machine that is manufactured from quality components. Available in different sizes and with varied cutting speed range, these are in high demand by our clients spread nationwide. We also meet customized requirement for our clients benefit and offer these at industry leading prices. 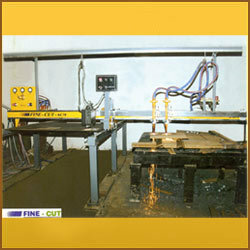 Flame Cutting Machine offers the user state of the art technical excellence at very reasonable price. 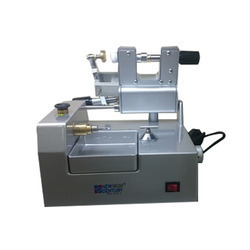 Specially made for the small and medium size industries, these machine cuts at costs far lower than conventional cutting methods, more economically and efficiently. We manufacture and supply quality and durable range of Cutting Machine Spare Parts-Gas-plasma, industrial machine spare parts that is manufactured from quality components. Available in different sizes and specifications, these are in high demand by our clients spread nationwide. We also meet customized requirement for our clients benefit and offer these at industry leading prices. We are engaged in offering Retrofitting Services to our clients. Backed by our team of expert professionals, we are ale to undertake the maintenance and installation of any profile cutting machines as per client’s requirement. Our industrial retrofitting work are appreciated nationwide for its excellent quality and reliability. 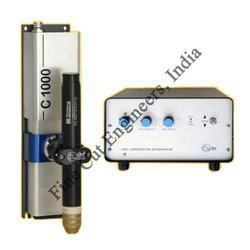 We are a leading Manufacturer of gas profile cutting machine and cnc gas profile cutting machine from Pune, India. MS, SS, Aluminium Sheet Metal Cutting. We provide Profile Cutting Services for manufacturing a multitude of engineering components on labor charge basis as well in Pune. Our cutting services are capable of fabricating any complicated profile out of a variety of metals. 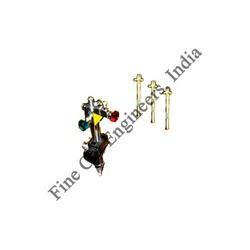 Our range is widely demanded in various engineering industries and is offered as per the client requirement and specifications. CNC Plasma, Gas Profile Cutting Facilities Available. 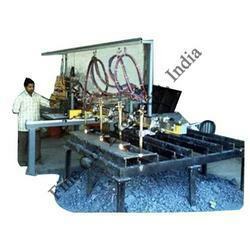 Manufacturer of a wide range of products which include gas cutting machine and cnc gas cutting machine. 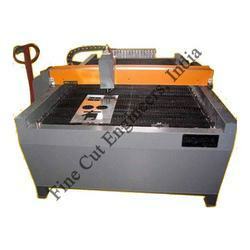 Leading Manufacturer of automatic cnc cutting machine and portable cnc cutting machine from Pune. 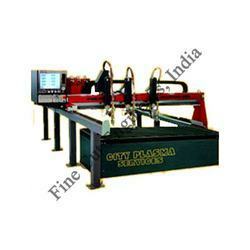 We are a leading Manufacturer of hypertherm plasma cutter from Pune, India.